Last year's fire season was "the worst in recorded history" for the state, one official said. The report adds, "California accounted for the highest number of structures lost in one state in 2018: 17,133 residences, 703 commercial/mixed residential structures and 5,811 minor structures. Utah was second with 77 residences and 377 minor structures lost." Last year was California's deadliest year for fires as well, with more than 100 killed, Cal Fire's McLean said. 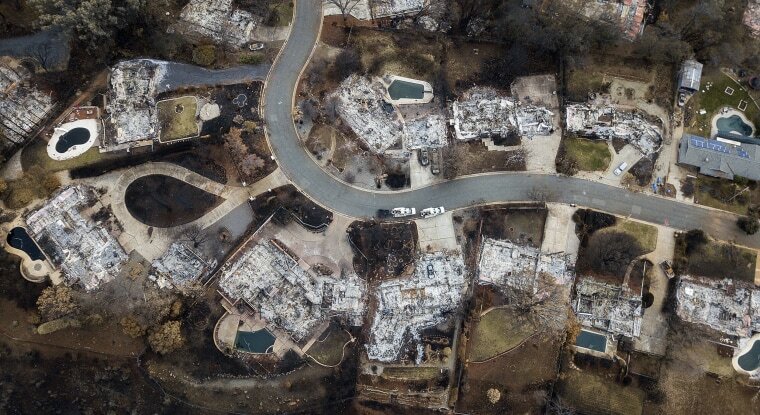 The Camp Fire in the fall, which destroyed the town of Paradise, killed 85 people, according to Cal Fire. That 153,000-acre blaze, which destroyed nearly 19,000 structures, tops two lists -- the state's most destructive fire and the state's deadliest fires. The largest blaze in state history geographically was July's 459,000-acre Mendocino-Complex fire, according to Cal Fire. Climate scientists argue that global warming has exacerbated the length and frequency of California's hot summers while also introducing increasingly volatile winter weather into the mix. McLean said several years of drought, followed by a brush-boosting wet winter in 2016-17 and a long, hot drying out, set the Golden State up for disaster in 2018. Last year's fire season was exacerbated by a die-off of 18 million trees. "We had good rainfall, good snow pack, and then dry weather came back," he said. "We started having major fires early on and they were consistent. They didn't give us a break." Cal Fire earlier this week issued a report to Gov. Gavin Newsom that includes recommendations for "high priority fuels reduction projects" for 2019's fire season. It urges projects that remove dead tries, clear vegetation and create fire breaks and "defensible spaces."